Exquisite 2-story ranch home in the heart of Paradise Valley. Includes master bedroom, studio or library, three baths, living room with fireplace, full kitchen, laundry, sunroom, and decks to enjoy. Beautifully furnished. Near the North entrance to Yellowstone Park. 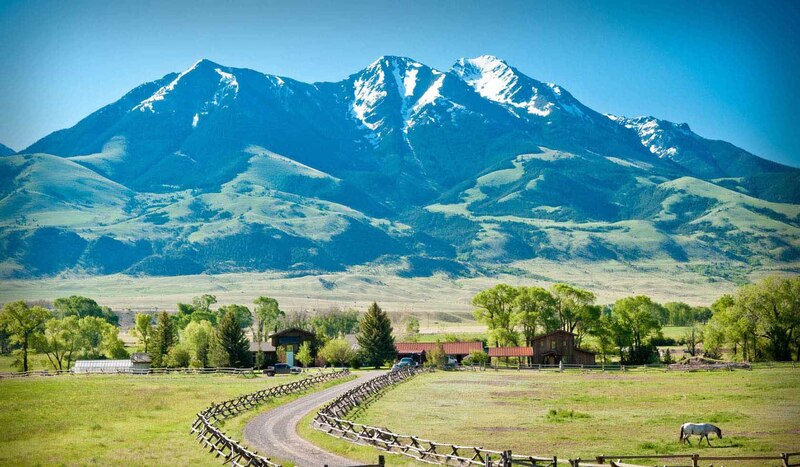 Rivers Bend Lodge offer 110 acres of private accommodations along a mile of the Yellowstone River with panoramic views of Emigrant Peak (10,300 feet) and the Absaroka and Gallatin Mountain ranges. This piece of paradise offers access to some of the best fly fishing and big game and bird hunting in the area. This is one of the few remaining properties in Paradise Valley with lodging only 10 feet from the banks of the river. Uniqueness is our specialty. Near hot springs to soak in. Ask about our fishing ponds.